Great hostel only 1 blk from Antigua's Parque Central. Our goal is to make your stay as comfortable as possible, while staying within your budget. We offer everything that you could need during your stay in Antigua. 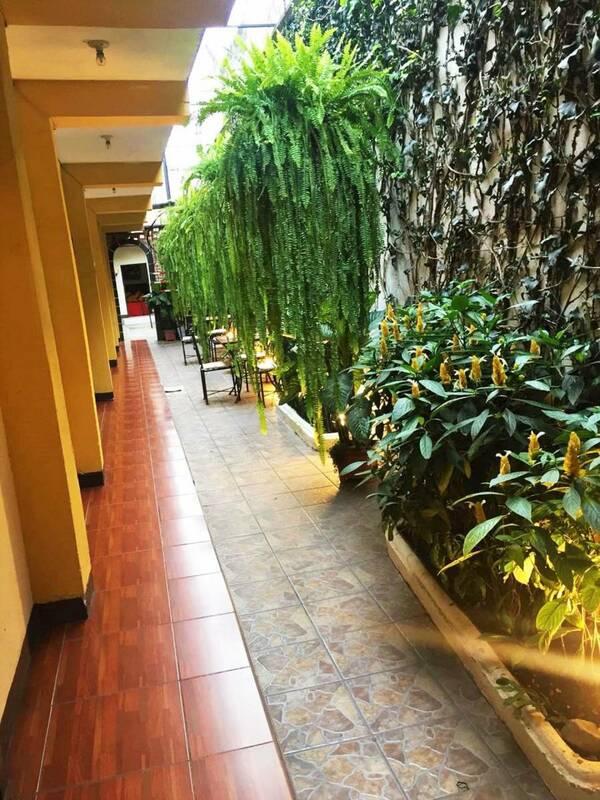 Our great location allows you to be close to everything, but it is far enough away to give you a very peaceful rest, even in a hostal. Travel Agency to help with any tours or ongoing travel. Airport pickup for check_rate $37. 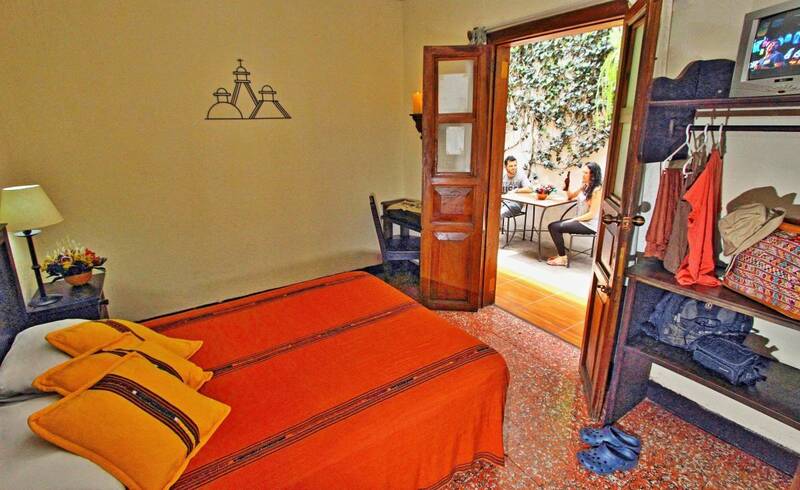 Hostal Antigua is a beautiful property in Antigua Guatemala. We are only a 2 minute walk from Antigua's central park and Cathedral, in a very safe & tranquil location, in the heart of the city. This ensures your stay will be comfortable & enjoyable, while staying within your budget. Our hostel is also on the most famous street of Antigua, "Arch Street". 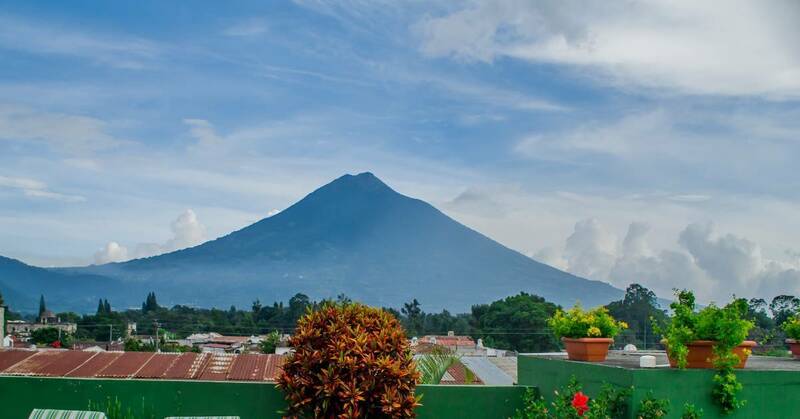 The hostel was built to offer travelers a cheaper option, but to still have additional features you normally do not have in a hostel, such as: Cable TV inside each room, Private bath inside each room, a Kitchen for your use, a beautiful rooftop terrace with great views of Antigua Guatemala. There are many good restaurants & shopping areas within a 2 minute walk along with the beautiful Central Park and Cathedral of Antigua. This is one of the many reasons Antigua is so nice, you can walk anywhere in just a few minutes. All rooms have a private bath inside your room and all rooms have Cable TV & fans. There is free Wi-Fi throughout the property. Rooms we offer: 4 private double rooms each with 1 double bed & private bath 2 private double or triple rooms each room with 1 double bed and 1 single bed & private bath 1 large dorm room with 12 beds each one with curtain & 2 bathrooms in the room All rooms have windows to the garden. All beds are new anti-stress mattresses. All dorm room beds are a complete single size with a regular 6-inch thick mattress, not the pieces of cotton you find in some hostels. The private rooms have 1 full / double size bed. All rooms have cable TV and fans. Close to everything you want to do: Bars, Restuarants, Park, Museums, Churchs, Historical sites, Market, Shopping, etc. Our Hostel is a 2 minute walk to Antigua's beautiful central park. If you are planning your own way, from Guatemala City airport, take a shuttle or drive to Antigua (45 minutes) via Calzada Roosevelt. Enter into Antigua, via 3rd Calle. You need to turn left on 6th Ave, go 3 blocks, turn left on 6th Calle, go 1 block, turn left on 5th Ave and in half a block is Hostal Antigua on your left, at 5th Ave Sur #22 (1 blk south of Parque Central). 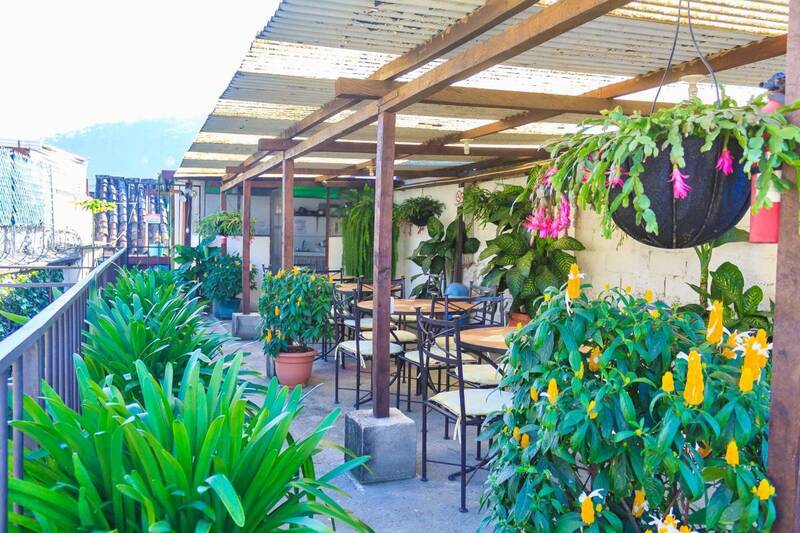 We have the best location in town, only 2 blks (2 minutes walk) from Parque Central. This puts you in the middle of all the action. Our rooftop terrace has great views, for taking pictures or just relaxing. So, all the activities of Antigua is within a couple of minutes walk, including restuarants, bars, market, museums & cultural activities. We offer private airport pickups for $37. This price is for 1 to 3 hotel guest. For larger groups, it is $8 extra per person. For this service, please send your (arrival time, flight #, airline name & from what city you are arriving from) via email at hostal-antigua@hotmail.